Despite these insights, traditional IT focuses internally on software, infrastructure, and even on what is commonly referred to as the 'internal customer' or 'business users’ productivity. But does this inward focus translate into increased revenue or Increased reach to more customers? Does it make the firm easier to do business with? Does it lower costs and increase profits? Will it mean better cash flow, speed to market or better products and services which gives a competitive edge? These questions need to be asked and answered. This is precisely where Continuous Improvement for IT (CIIT) comes in. CIIT is a philosophy based in Lean which focuses IT away from the internal and towards the external customer. It is a culture shift whereby technology professionals understand the key business drivers first, and then apply technology to meet those drivers. 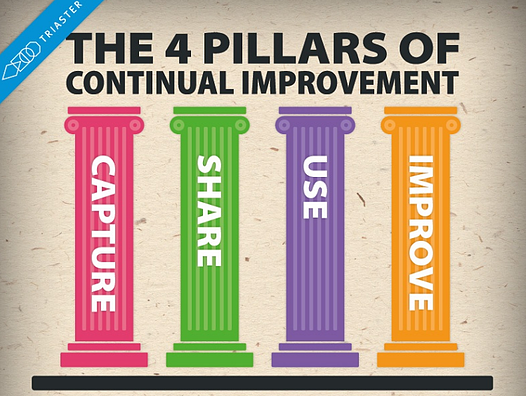 If you would like to learn about Triaster's continual improvement approach, please read our blog: The 4 Essential pillars of Continual Improvement, to find out how to facilitate lasting change in an organisation. Pull: in a pull system, value is only created when the customer demands it; upstream steps in the process only act when their downstream steps indicate a need. Rather than 'pushing' inventory, the value is delivered when the customer wants it. Common approaches to pull systems include Just-In-Time or Continual Replenishment inventory strategies. These systems often have high variability in products, manufacturing, and demand. IT departments can help drive this through better visibility into these sources of variability through reporting, statistical analysis, and enhanced communications between suppliers and customers. Perfection: the relentless pursuit of perfection is the basis for continuous improvement. How can IT look at both business and IT processes with a critical eye and an aim towards continually making them better in order to better serve the customer? How do we measure our progress towards perfection in a way that makes sense to our business? Think KPIs, metrics, and alignment to strategy. 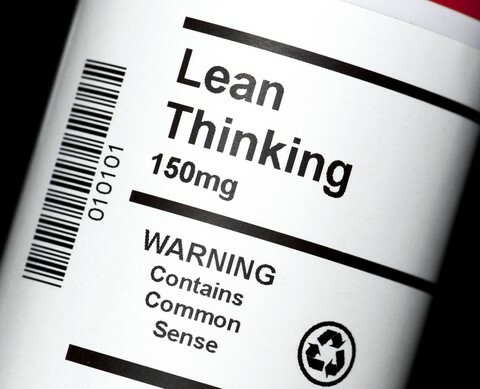 The proper application of Lean principles to IT will change the department from a group of technologists to a group of ‘business people who understand technology.’ IT employees will start to understand how their business works - what it is that makes customers happy, what drives revenues, how working capital may affect their business. Business-savvy technologists who understand their business can then begin to apply technology in direct support of these business drivers. They begin to see wastes within both IT and business processes and proactively work with their business partners to drive continuous improvement. Only then can they begin to deliver the value that CEOs actually want out of IT.